Iranian President Hassan Rouhani had a busy schedule today in New York. In separate meetings, he has held talks with Turkish President Recep Tayyip Erdogan, French President Francois Hollande, UN Secretary-General Ban Ki-moon, and will be meeting with British Prime Minister David Cameron on Wednesday. 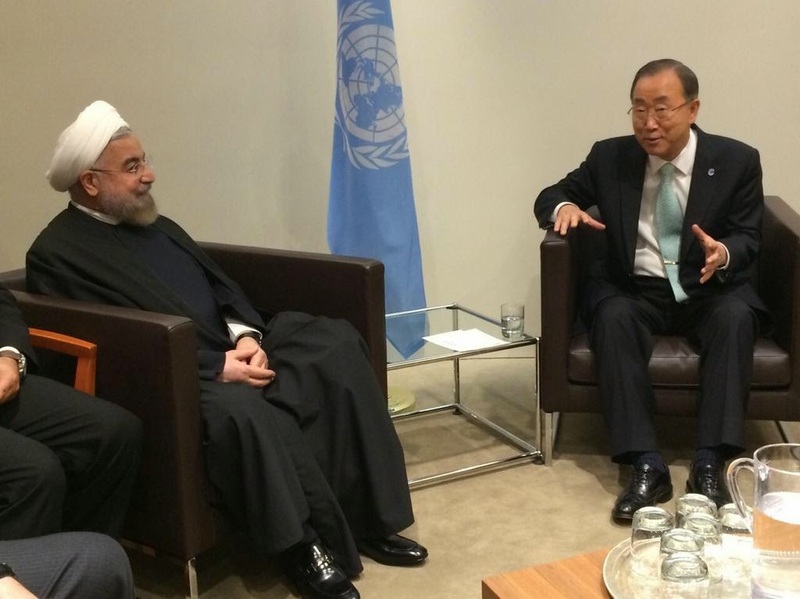 Rouhani and other heads of state and government are in New York to attend the 69th session of UN General Assembly. President Rouhani will address the General Assembly on Thursday at 9:00 AM.